Alsafat Investment Company complies with Corporate Governance regulations of the Capital Markets Authority. It’s board of directors assumes the responsibility of adopting best practices and mechanisms and updating in-house policies and procedures. Alsafat’s board developed its new organizational that outlines the responsibilities and authorities. The new structure also regulates the relationship between different company stakeholder. 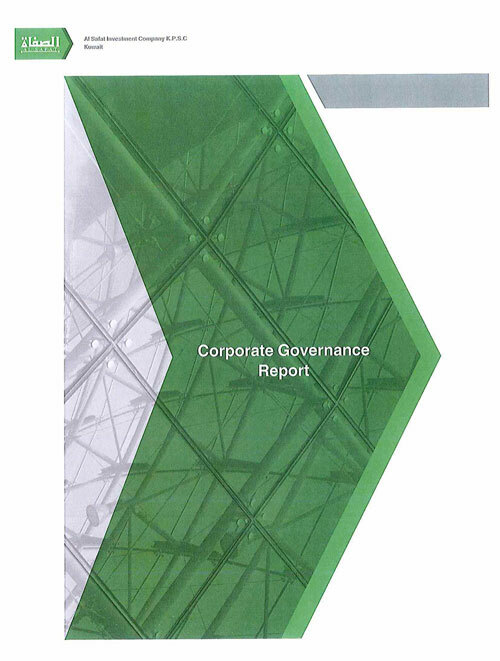 Additionally, Alsafat focuses on trust, transparency, accountability, supervision and ethics when it comes to corporate governance principals, to create a sound culture within it.